Apart from being very cold and annoying, Sunroof and Auto body water leaks will eventually damage the car interior, electrics and can even lead to some corrosion. We can offer a price menu for the most common leaks i.e. Clio, Saxo, Discovery sunroof leaks. We can also carry out a water diagnostic test for any vehicle, required for approx 1 hour. At only £41.66 + vat for which we will issue a quote & estimated repair time. All work is backed up by a 12 month guarantee. At Bristol Sunroof Centre we are able to offer many products & services ranging from : Supply & Fit Webasto Hollandia /Inalfa Sunroofs. Service Sunroofs. Supply Sunroof Parts & Accessories. 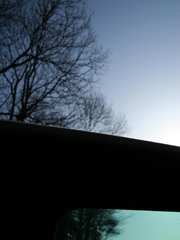 We also carry out Sunroof repairs inclusive of Webasto Hollandia, Britax, Golde, BSR, Farmont. We Supply & fit or can repair Cabriolet/Convertible/Soft Tops, conversion hoods, pvc or mohair. We supply & fit headlinings/headliners/rear window screens/plastic screens/window sections/glass window sections, soft top. Our Hoods range from Alfa Romeo, Aston Martin, Audi, BMW, Daihatsu/ Fiat, Ford, Jaguar, Lotus, Mazda, Mercedes benz, MG, Peugeot, Porsche, Renault, Rover, Saab, Suzuki, Toyota, TVR, Vauxhall, Volkswagen. We are also able to supply & fit spare parts & a range of cabriolet hood accessories including rear hood cables, side tension cables. tonneau covers, pick up tonneau covers, stowage covers, hood envelopes. Our hoods are genuine or aftermarket ranging from BAS International, MLC Monsoon, MAH German hoods & Autoroofs. Sunroof Diagnostic checks & water leak checks are also our speciality. If you have a rip or tear in your vehicle seat then this is also something we can help you with. Reversing Sensors, Parking Sensors, Parking Aids, Central Locking, Electric Window Kits, Snooper Safety Alert Systems, Speed Detectors & Heated Seats are our main electrical items. To keep your vehicle in good clean order we can supply a selection of Autoglym valet products, Screen Genie rear screen restorer & hydraulic top up oil/fluid for your cabriolet hood. We are also stockists of Climair wind deflectors.